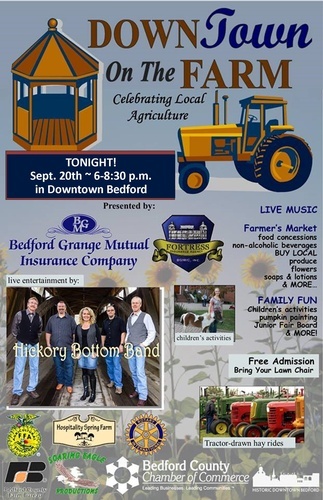 A street fair celebration of local agriculture, Downtown on the Farm is a highly-anticipated annual event in downtown Bedford. Enjoy vFarmer's Market vendors, tractor exhibits, educational displays and children's activities, while listening to great Bluegrass Music and tasting farm-fresh food concessions. Sponsorships and Vendor Spaces are Available.